The 2020 conference will be at the Hyatt Regency San Francisco. The hotel is across from the Ferry Building and next to the Embarcadero BART station! Walter Mosley, Jonathan Maberry and Brooke Warner as Keynoters! 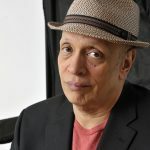 Walter Mosley has written more than 30 books, including 11 previous Easy Rawlins titles. He is also the recipient of the O. Henry Award, a Grammy, and PEN America’s Lifetime Achievement Award. Brooke Warner is an author of several books: Green-light Your Book, What’s Your Book?, and three books on memoir. She is a sought after teacher at her company, Warner Consulting, Inc. Brooke is the founder and publisher of She Writes Press. 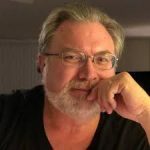 Jonathan Maberry is a multiple Bram Stoker Award winning author. He is a multi-talented writer of both fiction and nonfiction. He even writes for comic books (Captain America; Marvel Zombies Return). An advocate for writers, his Writers Coffeehouse is a free three-hour open-agenda networking and discussion session for writers of all genres and levels of skill in multiple locations around the country each month. This will be the 17th Celebration of Craft, Commerce and Community for all writers. Attendees will join with 100+ presenters and fellow writers from across the country and around the world at this year’s event. The SFWC events are consistently rated among the top writers’ conferences anywhere. Our goal is to help writers become published authors as we help them become better at the craft and business of writing. The SFWC is also one of the friendliest conferences. Presenters this year will include best-selling authors, literary agents, editors, and publishers from major publishing houses. There will be experts on self-publishing, book promotion, platform building, social media, audiobooks, podcasting, and author websites. 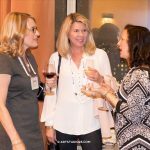 The San Francisco Writers Conference has one of the largest faculties of any writers’ conference to ensure the best networking with the people who can help you get published. All of our presenters are in person at the SFWC events and eager to share their expertise and love of writing. As presenters for 2019 are confirmed, they will be added to the SFWC Presenters page, with links to their websites. What happens at the SFWC? The event spans four days … plus offers optional Pre- and Post-Event Master Classes! The event is packed with nearly 100 sessions for writers— from the craft of writing to the business of publishing. There is copious networking with the very people who can advance your writing career, a glorious gala, keynotes and continental breakfasts, lots of social interaction with other writers, a Friday evening Open Mic reading, and two pitch practice sessions. There will be exhibitors with services and tools for writers too. If you are working on your book, getting ready to publish it, or looking for ways to promote an already published book, this is the event you need to attend. TO REGISTER for the 2020 San Francisco Writers Conference CLICK HERE! What to expect at the SFWC? 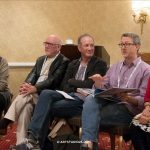 The San Francisco Writers Conference starts on Thursday with orientation classes in the afternoon and several optional Master Classes in the evening. Then the conference runs—pretty much nonstop—through early afternoon on Sunday. If you can stay longer, there is a no-host Chinese banquet lunch at 2 p.m. where you can keep the networking going with SFWC presenters, staff, and volunteers. On Monday there will be several post-event Master Classes too. That’s the entire Presidents’ Day weekend … and then some! All attendees get a commemorative tote bag filled with writing goodies! The SFWC offers so much social and one-on-one networking time with other writers and industry professionals. After-hours hosted open mics, poetry happenings, and pitch contests? You bet. Don’t want to eat dinner alone? There is a no-host dinner every night from Wednesday to Sunday at a different San Francisco restaurant. Our attendees tell us this friendly yet professional atmosphere is what makes SFWC the conference they choose to attend. The Hyatt Regency Embarcadero is where the SFWC takes place. It is located a short stroll from the Ferry Building and is directly in front of the Embarcadero BART station. It is especially convenient for those of you flying in to San Francisco. You can book your room directly with the hotel by calling 415-788-1234 or clicking this link to book your room. Use our discount code WR20. 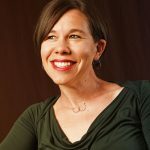 READY TO REGISTER for the 2020 San Francisco Writers Conference? CLICK HERE! You appreciate sessions that fit your specific writing needs and goals. At SFWC you can choose from a full schedule of workshops and panels. You want to launch your writing career—or take it to a more professional level. As in any business, it’s “who you know.” Meet industry leaders and learn how to play the publishing game. The information at SFWC covers the latest trends and technology to help you get more writing done … and successfully sell what you write. You want an agent! At Speed Dating for Agents, pitch your book ideas one-on-one in a room full of literary agents ($75 option for registered attendees only). Or opt for a 15 minute one-on-one Agent Conversation for just $100. Either way the literary agents at SFWC are on the lookout for new clients with great books they can represent. You are ready to learn about a wide range of publishing options from leaders in self-publishing AND traditional publishing. You are open to hearing FREE editorial feedback on your work from freelance book editors. Click HERE for the FAQ sheet! You are building your personal writing community. At SFWC meet like-minded writers from all over the United States and other countries too. You seek innovative writer-related services. Meet with the exhibitors at the conference to find out what’s new for writers. You love books. Come browse our onsite bookstore and get the books you purchase autographed by the presenters. You have heard about SFWC’s over-the-top networking opportunities. SFWC attendees can jump into pitch practices, share their work at “Open Mic” readings, and socialize at our Gala Party and Poetry and Jazz events. This is just a sampling of what goes on during the event. You want to go to a conference that offers it all. You’ve just described the San Francisco Writers Conference—top quality information and excellent speakers, yet is extremely friendly to writers at all levels. The MAIN CONFERENCE registration fee includes four days of live sessions, keynotes, and events from Thursday through Sunday. Plus, a consult with an editor and publicist, unlimited networking with more than 100 presenters (and fellow writers! ), a Networking Gala, the Poetry and Jazz party, morning continental breakfasts, the popular Practice Your Pitch event, an attendee bag filled with writer goodies, and more! Speed Dating with Agents featuring more than 20 literary agents. This opportunity for attendees to give face-to-face pitches to agents is $75. It can be added when you register or onsite. Agent Consults will also be available to attendees this year. Once you register, you will be eligible to sign up for the specific agent or agents you wish to meet with for 15 minutes of one-on-one time. The cost is $100 for each consult. IMPORTANT: We announce conference news, keep writers informed of Bay Area events, and share writing tips in the SFWC Newsletter. Get your free SFWC Newsletter subscription by using the opt-in box at the bottom of this page! Visit the amazing line up of EXHIBITORS that joined us at the 2019 SFWC. CLICK HERE to be an exhibitor or Exhibitor-Sponsor at the 2020 SFWC! You can revisit past conferences. Buy the CDs or MP3s! Click on www.vwtapes.com, or call Patrick at 1-808-561-8273.